Lack of equal opportunities in the field of education is a major problem across the world; and the promotion of equal opportunities and closing the talent gap are among UN's Sustainable Development Goals. In this respect, for many years, quality education has topped the list of areas prioritized by Garanti Bank in its efforts to add value to the society at large. Established in 2008 by Garanti Bank, the Teachers Academy Foundation (ÖRAV) aims to support teachers, who are among the major pillars of the education system, in receiving the value that they deserve in society by showing that the profession of teaching requires special knowledge, talent and attitude. ÖRAV assists teachers in their leadership performances while raising the new generations who will shape the future and create a modern and healthy world. Since it is established, ÖRAV has made efficient use of existing resources, enabling educators to acquire a perspective on new education methodologies, raise their competences and awareness, and also help them put these methods into practice in their schools and classrooms in order to deliver quality education. ÖRAV creates an environment in which teachers, who are responsible for raising the individuals equipped with the mental, social, emotional and digital skills required by the 21st century, can continuously develop themselves. The Foundation has reached a total of 170,600 teachers in the 81 Turkish provinces. In addition to ÖRAV's ongoing projects, its "eCampus Online Education Platform", which has been designed as a complementary platform for lifelong education and information sharing, has boasted over 120 thousand registered users and renovated in February 2019. Under the scope of its collaboration with the Ministry of Education, ÖRAV responds to all applications from volunteering schools and delivers its training programs free-of-charge. ÖRAV has different training programs suited for different target groups such as the educators who work in kindergarten, primary school, junior high school and high school level. The purpose of this program which is supported by Garanti Bank and carried out by ÖRAV is to raise primary school, junior high school and high school teachers' awareness of social and financial literacy and to help them pursue a child-centered approach to transfer these skills to the students through active learning. Personal Understanding and Exploration: It includes activities that encourage and support students to understand themselves and increase their sense of self-worth. The objective here is to encourage them to become self-confident individuals who are aware of their feelings, and can guide their own lives. Rights and Responsibilities: In this section, students are taught their rights, but more importantly, it is emphasized that these rights will be meaningful only with the responsibilities that the students should fulfill. Saving and Spending: Students learn the difference between a desire and a need, and are taught about saving money, as well as management of time, food and natural resources. Planning and Budgeting: In this section, students learn how to organize their resources including time, and how to keep basic financial records, calculate their income and spending, and set themselves saving targets. Social and Financial Entrepreneurship: Children are encouraged to develop social and/or financial innovative projects in their schools. Social entrepreneurship comprises projects aimed at making the child's life, the school and society more equitable and healthier. Financial entrepreneurship, on the other hand, consists of projects realized during school hours with a view towards generating a limited amount of income. In this program, children come up with projects that will have both social and financial benefits. Garanti Bank focuses on quality education in line with its perspective of contributing to society. In this scope 'Code the Future with Garanti' project has been carried out since 2016 in collaboration with the Bahçeşehir University. The project is now in its 4th term. In our age, digital literacy is considered to be an essential requirement; and Garanti Bank supports children in developing the such skills for the 21st century. Under the scope of Code the Future with Garanti, 3rd and 4th grade students are provided the skills necessary for the digital age by means of workshops on robotics, coding, design-centered thinking. In order to help the children to internalize these skills, we as Garanti prioritize one-on-one education mentorship and provide children with rich educational materials; as such, children discover that there are different ways to solve a problem with the usage of technology and how to turn ideas into reality through algorithmic thinking. In 2018, the project expanded its impact by delivering its training to teachers as well. Teachers begin with watching online educative videos, then participate in face-to-face training and finally join the Code the Future with Garanti workshop together with their students. In this process, the teachers acquire the skills which enable them to implement similar practices to Code the Future with Garanti in the classroom. The project 'Code the Future with Garanti' has reached 750 students and 45 teachers in 17 Turkish provinces until today. 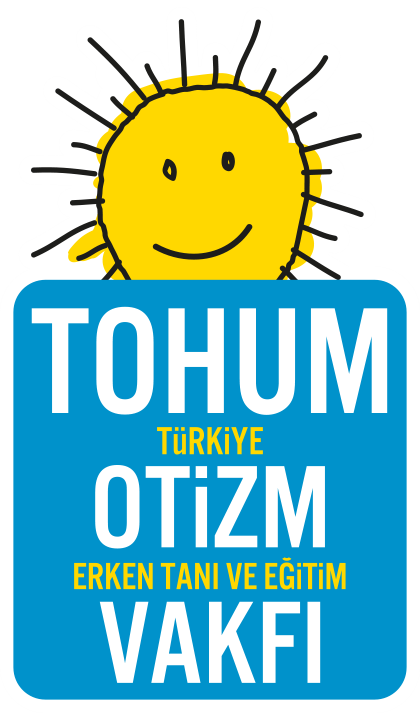 The Tohum Autism Foundation Continuing Education Unit provides theoretical and applied training on autism to educators who work in the area of special education, to the parents of autistic children, to related experts as well as university students. Its activities are sponsored by Garanti Bank. In 2018, the Foundation has reached 2,125 people.